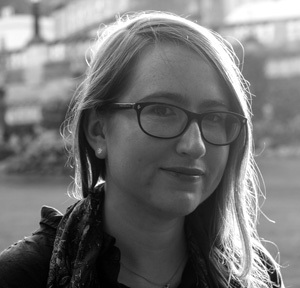 Sarah Driver is a nurse and midwife, and a graduate of the Bath Spa Writing for Young People MA, during which she won the Most Promising Writer prize in 2014. Sarah started writing stories as a small child and lists her influences as Spellhorn by Berlie Doherty, A Necklace Of Raindrops by Joan Aiken and the Carbonel books by Barbara Sleigh. The Huntress: Sea is Sarah’s debut novel, the first in a trilogy. Sarah was born in West Sussex, where she still lives close to the sea with her street-wise ginger cat and her miniature lop-eared bunny.